Starting today you can integrate your LiveOps Classic account from Serenova to check against your team availability for a live transfer. If meetings are booked by the sales development team on the West Coast, route meetings to the account owners in the region. 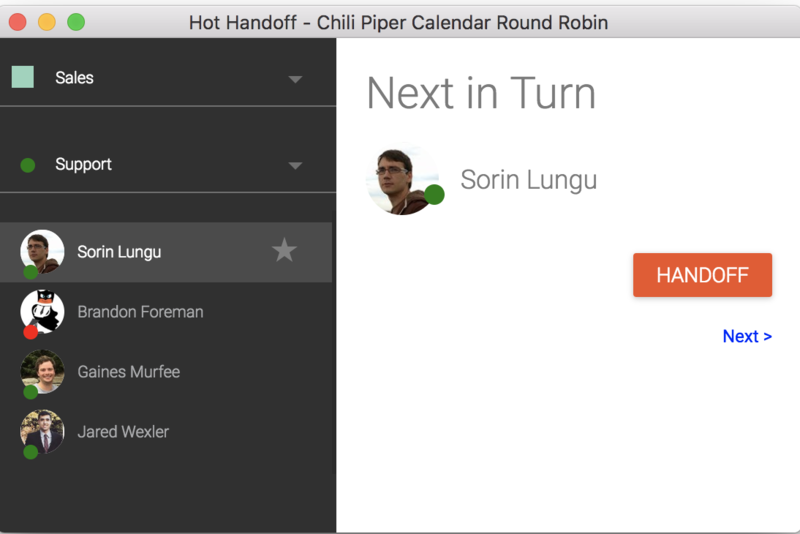 If a prospect is ready to move to the next step while on the phone, you can use the Chili Piper “Hot Transfer” to check who should have a touch point with this prospect. Once you do you will see who’s next and who is available in LiveOps to receive a transfer. Once the prospect was transferred successfully, the person who makes the transfer clicks on “Handoff”. The transfer gets recorded in Salesforce, the assignee gets blocked in Google Calendar through the duration of the call and several automations can be configured (e.g. assigning the account to the person who the prospect was transferred to). With this integration, the meetings are distributed evenly across regions and between regular meetings and live transfers. The calendar of the person who they are supposed to book a meeting with automatically shows up at the right moment. In the right place (in Gmail, in Salesforce, in your dialer, etc.). The meeting invite is already pre-populated with the correct details. All the triggers in Salesforce are already setup (e.g. once you book a demo with a contact, the account’s owner automatically changes). The meetings are created in everyone’s calendars automatically, no need for manual entry. The prospect receives the confirmation on the spot and doesn’t have to enter any data. Learn more about our full automated scheduling solution.